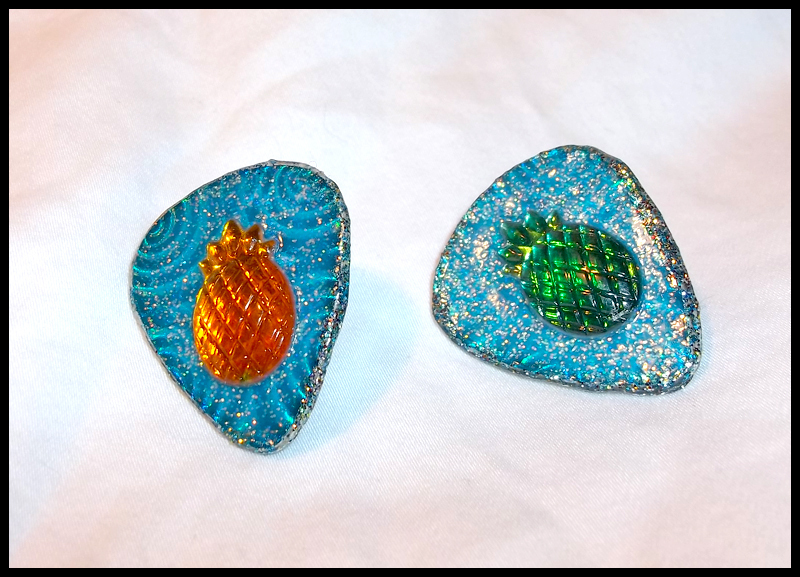 Psychedelic Waves with Pineapple Gems Stud Guitar Pick Earrings! Stud earrings with guitar pick pendants with the Psychedelic Waves pattern. Blue holographic waves with white glitter and a yellow and green pineapple gem.